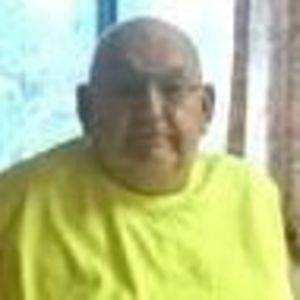 Tony Washington Lowe, 74, of Liberty, passed away on Tuesday, July 11, 2017 at his home. A memorial service will be held on Saturday, July 22, 2017 at 2:00 p.m. at The Loflin Funeral Home Chapel. The family will receive friends from 1:00-1:45 p.m. prior to the service. The burial will be following the service at Smithwood Christian Church Cemetery. Tony was the son of the late Dorothy Lee Shepard and Thomas Bunch Lowe. He was also preceded in death by his brother, Rex Ferrell Lowe; four aunts and three uncles. He is survived by his loving wife of 55 years, Evelyn Lowe; daughters, Jennifer Markovic (Steve), and Beverly Neal; grandchildren, Catina Neal, Chelsea Neal, and Thomas Markovic; sister, Peggy Lowe Coleman; and aunt, Catherine Shepard. Tony also leaves behind many nieces, nephews, and cousins who all loved him dearly. In lieu of flowers, memorial contributions may be made to Pleasant Union United Methodist Church, 5929 Coble Church Road, Liberty, NC 27298; Hospice of Randolph County, PO Box 9, Asheboro, NC 27204; Smithwood Christian Church, 6809 Kimesville Road, Liberty, NC 27298; or St. Jude Children's Research Hospital, 501 St. Jude Place, Memphis, TN 38105. Loflin Funeral Home of Liberty is honored to serve the Lowe family.